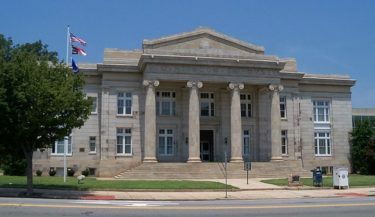 Rowan County, North Carolina has agreed to pay $285,000 after losing a five-year court battle over the legality of prayers offered by County Commissioners at public meetings. Commissioners voted last week to pay the legal fees incurred by the American Civil Liberties Union (ACLU), thus ending a longstanding series of appeals and counter appeals in the case. The suit was originally filed in 2013 by the ACLU and contended that public prayer led by Commissioners at the beginning of each meeting was unconstitutional. The case ultimately landed at the door of the U.S. Supreme Court but ended when the High Court refused to take up the case. The Rowan County legal battle ended in June 2018, when the U.S. Supreme Court refused to hear their case on appeal. Interestingly, the Supreme Court had refused to hear the appeal of a county commission prayer case from Michigan in September 2017. In that case, however, the Sixth Circuit Court of Appeals ruled that prayers by the commissioners did not violate the Constitution. These conflicting rulings leave unsettled the legality of prayer led by an elected official at governmental meetings. Associate Justice Clarence Thomas criticized the Supreme Court’s failure to hear Rowan County’s case because now “state and local lawmakers can lead prayers in Tennessee, Kentucky, Ohio, and Michigan, but not in South Carolina, North Carolina, Virginia, Maryland, or West Virginia.” Justice Thomas said the “Court should have stepped in to resolve this conflict.” It remains to be seen whether the Supreme Court will eventually answer this lingering question by hearing and ruling on a similar case in the future.